Richie Hawtin, Bicep, Daphni and Motor City Drum Ensemble will play the expanded Junction 2 Festival next summer. The now two-day festival will take over London’s Boston Manor Park on Friday, June 7th and Saturday, June 8th June 2019 with a day of more varied dance music ahead of a techno takeover on Saturday. 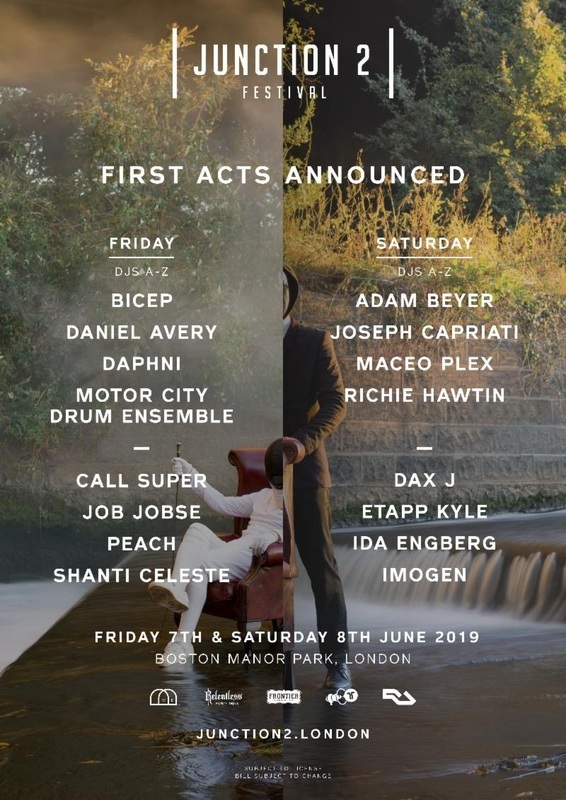 The first acts revealed for the Friday are Bicep, Daphni, Motor City Drum Ensemble, Daniel Avery, Call Super, Job Jobse, Peach and Shanti Celeste. Saturday will see Richie Hawtin, Maceo Plex, Joseph Capriati, Adam Beyer, Dax J, Etapp Kyle, Ida Engberg and Imogen get behind the decks. Pre-sale tickets to Junction 2 2019 will be released on Thursday, November 1st at 12noon. To gain access register at junction2.london. 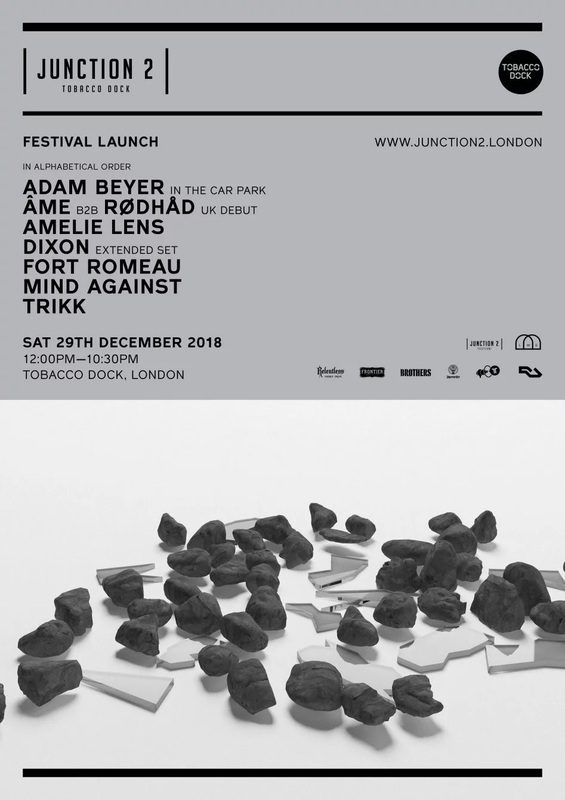 The Junction 2 Festival launch party on Saturday, December 29th will be hosted at Tobacco Dock by day featuring Adam Beyer (Car Park Set), Âme B2B Rødhåd (UK Debut), Amelie Lens, Dixon (Extended Set), Fort Romeau, Mind Against and Trikk; by night it will move to fabric with Adam Beyer and more to be announced. For Junction 2 Festival launch day party tickets go here; for night party tickets go here.